Don't Believe Us? Read the Reviews. This product is very good, after all it is necessary to maintain a healthy liver and for me this works well definitely I recommend it! A few years ago I discovered UltraThistle. Over these same years I've had regular lab work done with regards to my liver functions. Even though I suffer with liver disease, my liver is functioning normally as has been documented by my lab work! I believe this is in a large part due to the UltraThistle®... Thank you for an excellent product! I've used other products (3), this is the first where I actually felt an improvement in my physical being. Hard to explain though. Try UltraThistle® risk-free for 90 days. If you don't love it, simply send it back for a full refund. No questions asked - For first time orders, we'll even pay for the return shipping. Prescription strength maximum liver protection. Formerly available ONLY through medical doctors and other licensed healthcare professionals, UltraThistle® is now available to the general public. 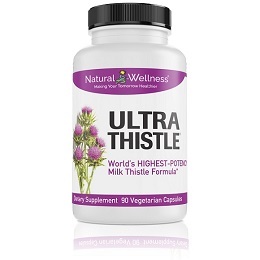 UltraThistle is the more powerful version of Maximum Milk Thistle®. It contains the exact same active ingredients as Maximum Milk Thistle and in fact is almost identical in every way, except one – its strength. UltraThistle provides a higher potency. While Maximum Milk Thistle consists of a standard 240 mg of Silybin Phytosome® per capsule, UltraThistle packs a much higher, 360 mg. This means you get 50% more in every capsule, offering you more protection in every dose. UltraThistle also has the same 3 major advantages over other milk thistle formulas. UltraThistle contains a patented, highly-absorbable form of milk thistle called Silybin Phytosome. Silybin Phytosome combines silybin - the most active and beneficial ingredient in milk thistle which is responsible for 50% to 70% of milk thistle's therapeutic benefit - at a molecular level with phosphatidylcholine, a phospholipid which is the same material found in cell membranes. The end result is a newly created structure where the phospholipid surrounds the silybin and acts as a protective shield for the silybin, thereby providing dramatically enhanced bioavailability and delivering faster and improved absorption in the intestinal tract. It is clinically proven to deliver 8 to 10 times more of milk thistle's active ingredient into your bloodstream and to your liver, making it a much more absorbable, effective and economical supplement to address your liver concerns. UltraThistle contains over 2x the amount of silybin than standard milk thistle formulas of the same dosage, providing superior benefits. Medical researchers agree that silybin is the most beneficial active ingredient in milk thistle and is responsible for the majority of milk thistle's liver-protective qualities. UltraThistle also contains phosphatidylcholine. Research shows that phosphatidylcholine supports liver health by promoting healthy enzyme, antioxidant and lipid metabolic activities, as well as producing faster functional and structural rebuilding of liver tissue and cells. If you are going to take milk thistle to protect your liver, we recommend UltraThistle. It makes a HUGE difference. 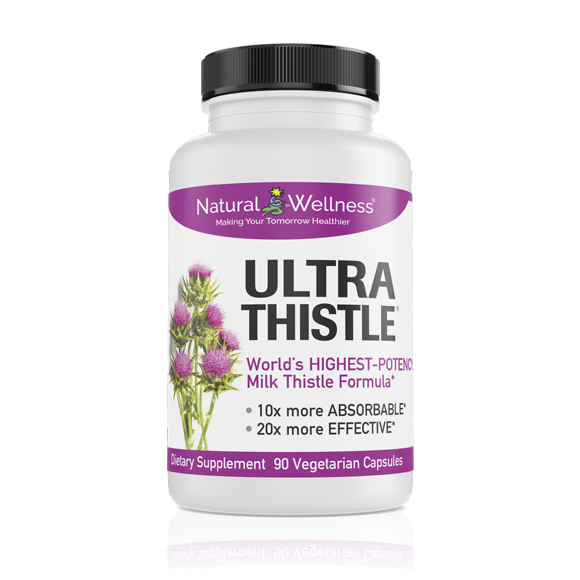 With UltraThistle you will be taking the most absorbable, potent and cost-effective form of milk thistle available today. This means more milk thistle and more silybin, its most beneficial active ingredient, get to where you need them and less is simply "washed" out of your digestive system as compared to other milk thistle formulas. Remember, not all milk thistle formulas are equal. Don't be fooled by cheap milk thistle products. You get what you pay for. The milk thistle active ingredients, their absorbency and effectiveness truly make a difference. No matter what may be affecting your liver, UltraThistle gives you a clinically-proven way to protect and support your liver. Up to 10x the absorption and over 2x the amount of silybin means up to 20x the effectiveness. * Plus the phosphatidylcholine provides additional liver benefits and protection not found in those other milk thistle products. No standardized milk thistle product will beat UltraThistle for absorbency, effectiveness, functionality, ease of use and price. We guarantee it. *Comparison based on 360 mg of silybin in UltraThistle vs. 360 mg of milk thistle standardized to 80% silymarin. I been using this product for a while now and it helps me in many sorts of health issues. But lately the last two bottles I gotten have a few of these not fully packed capsules. It's not just one capsule, some you can tell right off the bat, some looks filled but when u squeeze it, it feels half full or not fully packed like other brands of capsules. Natural Wellness, I love your product even if it's pricier than other brands but please fix this. Just overpriced. This company has done a good job with marketing. I simply cannot afford it anymore. Forced to find some other brand. It works at it should. When it comes to milk thistle, I don't play. I'm a heavy drinker, so I'm big on liver support. Heavy research. Milk thistle is at the top. So, quality milk thistle is even more at the top. This is the one. After taking Ultra Thistle, my liver values which were suddenly slightly high, have returned to absolutely normal. I take six capsules daily. This is a good product. however, I'm not sure it is better than other formulations on the market. I was using a formulation from GNC that I really liked and it was three times a strong. It's hard for me to tell the difference. everything is about the same from transitioning from my GNC blend to this. It's not a bad product at all, just not sure it is worthy of the price. THIS IS THE BEST STUFF YOU CAN GIVE YOUR LIVER. If it costs a bit more than something that doesn't work.... well, SO WHAT. Your liver is the hub of your internal system. You know how they say "happy wife, happy life"? Well substitute that for liver. (Sorry about the politically incorrect example)! My doctor was surprised that my HVC/Hep C viral load was fairly low, having been diagnosed with Hep C in 2001 and never having received treatment. I do not have cirrhosis or any liver damage. My Gastroenterologist said it must be the regular intake of milk thistle that has protected my liver, even though I occasionally had wine or beer along the way. I have hcv and cirrhosis. I am due to commence DAA medication fr the hcv in approximately ten weeks. After just one month of taking ultra thistle and selenium I am finding a lot less discomfort in my abdomen that goes with a inflamed liver I am also finding the nausea I have had for a couple of years now has also largely disappeared. I do look forward to continuing to using your liver support products. Feeling slugish and real tired for a while I finally went to see my doctor, OK so my doctor ordered the blood work that also included my liver and WOW 2 of the 5 test were sky high. The ALAT was 429 (9-44 is normal) and my ASAT was 219 (12-40 is normal). According to my Dr. these numbers were VERY HIGH. After every blood test known, I mean they checked everything but could not figure out what was going on except that I had it did show I had a fatty liver The test also showed that the Iron in my blood was also extremely high. My wife and I got on the internet and started searching for anything that would help me. Milk Thistle was the thing that most search engines kept coming up with. so we reasearched everything on the website about it. My wife found the Natural Wellness website and after reading all of the information on Ultra Thistle and the ways that it is formulated 20 times more absorption, twice the silybin, and 20 times more benefit. I then went to the reviews and I thought this is so much BS they must write this stuff themselves, unbelievable. I had my doctor read it and she just kind smiled and said "well it doesn't have anything that will hurt you but don't expect miracles it's probably a placebo" Well after receiving my Ultra Milk Thistle, taking 3 pills daily, morning, noon and night I must tell you this is NOT a placebo. This WORKS. In just 3 weeks my blood test ALAT showed a drop from 429 to 49 and my ASAT from 219 to 40. Now at 4 weeks blood is ALAT 429 to 20 and my ASAT is 219 to 28. As well as my liver being back to a healthy normal my Iron in my blood is also back to a normal reading. I was advised by a friend waiting for a liver transplant to take this when I was diagnosed with Liver Disease. Cost efficient. Capsules are easy to swallow! I started taking this due to high level liver enzymes. After only a week my levels started to go down and I started to have fantastic energy. I highly recommend. Im doing this review to tell every person out there to buy this product!.. it works!!. My first lab test came back with elevated AST and ALT enzymes. I read about the product, bought it in conjunction with Liv 52, abstained from my usual vodka martinis to red wine and lo and behold 6 months to the date I went for a second lab test. Guess what?. My liver enzymes are within the normal range thank GOD and this product. Please note that I had been taking Liv 52 alone but it did not help me without Ultra Thistle. I truly believe that the combo is undoubtedly the formula to success!.. BUY IT AND GOOD LUCK TO ALL!! Great quality milk thistle, these pills are amazing the body absorbs them well as they are highly concentrated. This stuff really works well. Two thumbs up, they help me regain back my stamina. Though no scientific result, but I feel better and not sleepy after taking this pill regularly for 1 month. No effect for me. After using, liver enzymes were actually worse than before. Not saying that this product caused that, but it certainly didn't have any benefit. Seems to work for in helping me maintain my liver function. Some doctors may scoff it this but I am confident after years of use milk thistle works and this is a good brand. Please let me know if you found this review helpful. Ok where do I start? I had stage 4 breast cancer that went to my liver. I overcame it but was left with scar tissue which supposedly turned into chrriosis. Dec 31, 2016 I started experiencing ascites where I needed to have a parcenthesis (drainage) every 5 days. Intuition led me to this wonderful supplement. I had my last draining on Feb 9, 2017. My thistle arrived that evening and I started the supplement that night. I woke up and the swelling around my liver subsided and slowly the fluid stopped accumulating in my abdomen. I have been on it since and I am nearly back to my normal 29 in waist. I am a customer FOR LIFE!!! Started taking this product after blood work revealed high liver counts. My sister-in-law referred me to this great product. My AST went from 74 to 30 & ALT dropped from 144 to 47 in 8 weeks. ALT still a little high but will be continuing with the Ultra Milk Thistle from now on. I also feel better & have more energy. Have always been very healthy until I had knee surgery to repair the meniscus and didn't tolerate the pain meds, took ibuprofen and Tylenol which then affected my liver. I am very pleased with this product! Milk thistle works. Anyone who drinks heavily should take this daily. Good Start to 2017 with this supplement! Right out the gate, I started feeling better. It is either a miracle supplement or I was in really bad shape with toxins in my body. Maybe a combination of both. Order arrived quickly. Can definitely recommend this product. Great stuff..Has kept the quiver from my liver! I ordered this product because of the high reviews on quality and effectiveness of the product. I received 2 bottles one week and two days ago, one bottle for my spouse and one for me. Since then, we have both pulled out 2 capsules each that were completely empty. Also, I have taken milk thistle for years because of taking medications for 3 back surgeries and on occasion, being excessive in drinking alcohol...I truly haven't noticed a difference in this brand compared to others I have taken, aside from the empty capsules and price of this brand compared to others. We're very sorry that you experienced this with our product. It is highly unusual for there to be completely empty capsules in the bottle. If you're able to see this, would you please give us a call directly (our number is 1-800-364-5722) so that we can look into this further? After years of blood test results showing high liver numbers, one month on ultra milk thistle and selenium my liver numbers were normal! Great products. My doctor wasn't sure if I would get any results but after the blood test results came back, he was speechless. My doctor said Milk Thistle was the only supplement I needed to help support my liver. I've been talking it for years, as I was diagnosed with Hepatitis C in 1996. I'm very happy with this new product line and I would recommend it to anyone! Ultra thistle is a true authentic product I notice a difference right away right quad pain is no longer a problem, can't wait to do my blood work soon. This is the most potent milk thistle ever! I use this for my dog who has high liver enzymes in her older age. She takes one of these a day along with one 400mg Sam-E pill an hour before her dinner. Her enzymes dropped 40 points and put her back in range within 3 months. Hello , This is an excellent Thistle ! Very GOOD Quality ! I have tried other products that did not produce the results I am receiving from this !!! Faster entry into blood stream , better cleaning , noticeable weight loss , and purging of toxins with me...externally purged through my eye ducts , more energy and clearer thought process. You get what you pay for...... I am very pleased with " Ultra Thistle " !!!!! Would " HIGHLY RECOMMEND ! " My wife has been using this product for about three months without any side affects and as of this writing no further symptoms. It appears to be working. Received in timely manner as always! Superior ingredients! Quality all the way! Natural Wellness Milk Thistle: Like the product. However, it is a little pricey. Not really a value purchase. This is a bit pricey for a milk thistle supplement, but well worth the price. Using for fatty live in combination with krill oil. So far, after 1 week of 3 caps per day, I feel much more alert and less sluggish. Could be mainly due to diet change, but it definitely didn't make things worse. I've taken a different milk thistle product in the past which made me slightly nauseous, this formulation has no noticeable side effects. Waiting on blood work from a checkup to see if liver function is improving. Seems to be one of the most strongest milk thistle supplements on the market. However, I didn't feel much of an effect from it compared to other liver supplements out there. Results are generally hard to measure with nutritional supplements, because they don't work the same way as medications, where you'll usually notice a difference quickly. Supplements provide benefits that grow over time. The amount of time before seeing or feeling results will vary for each individual, however results are not typically immediate and therefore you might not necessarily see or "feel" results right away. The real benefit of milk thistle is that it has been clinically shown to slow fibrosis. To really measure fibrosis levels your doctor would have to test for fibrosis markers. As with any supplement, results are based on consistent and continued use. To ensure that you gain maximum benefit it's imperative that you take supplements as recommended on a consistent basis. I have HepC with some damage to my liver. I have been taking UltraThistle for about five years now and definitely feel it working to maintain a healthy liver. I an certainly tell the difference when I don't take it! Very grateful. Works great and fast ! Sometimes, you gotta spend a little extra to get the "good stuff", and this is the best I've found! 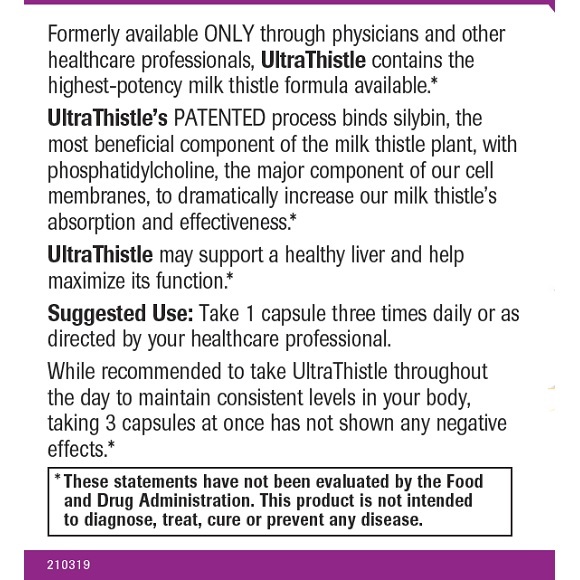 I have been using Ultra Thistle since 2013 for my liver health. I was diagnosed with HCV and told by several people and my doctor to use Milk Thistle to help my liver detox my blood. I am not a doctor but I believe Natural Wellness' product, "ULTRA THISTLE", made me feel like I had a bit more energy and I felt comfort in knowing I was helping to decrease the stress that the HCV was putting on my liver. I also have just begun using NAC as a booster for helping with detoxification of free radical in my blood system. I am hoping that it helps me. I have been relieved of my Hep C virus but left with fibrosis with a F-4 score. Essentially, I now am battling with cirrhosis. I am hoping that these two products are helping my liver to do it's job! It is very hard for me to tell, I will know more after my next round of lab tests and ultra sounds. I spoke with several doctors and it seemed like each one of them had their own ideas on whether Milk Thistle was beneficial or not. One doctor told me to double the dose I was taking. Another told me to stop using it during my treatment with Harvoni. Still another doctor seemed to be rather neutral about the use of these products. W/out too much graphic detail my Liver is messed up. Hep B 20 years ago, Drugs 20 years ago, Alcohol up till a year, even had an Aunt & an Uncle die of Liver Cancer that never drank or drugged or smoked or anything, so some is even genetic. As a Veteran i get Labwork all the time and i can tell you this stuff helps, when i go a week w/out it, my enzyme levels shoot way up, and i get those horrible pains also. So i got PROOF. 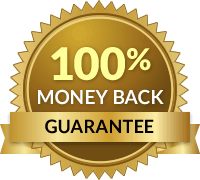 For years i used the stuff at WalMart , over priced GNC and the lot, they use fake numbers to fool you, and read bad things when researching and did not get the relief i get from this brand. The bottom line is in the LabWork and the LACK of pain. Do your own home work, like i did. If you do the math this product is not really that pricey. I ride Horses so i bounce up & down alot, so does my enlarged Liver...believe this helps. One day of hard riding after w week w/ out this product i can barely move. I can ride 4 days a week when i take this like im spose to. Even my Doc's at the VA recomend Milk Thistle. They dont prescribe it yet tho. They did Fish Oil that way for years, but now they prescribe Fish Oil. I hope theres a day when the Fed's will provide Vets this product. I contracted Hep C in 1973 from a blood transfusion. I have been taking this product for the last 12 years and my Dr. is amazed that I have NO liver damage. I am currently on the new Harvoni treatment and stopped the milk thistle for during treatment. I am NOT detected for Hep C after 4 weeks on treatment. As soon as I finish with hep c treatment I will be a return customer for Liver Support and Detox. 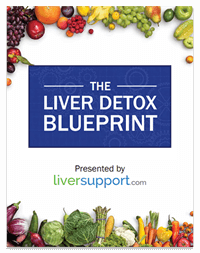 This product saved my liver and I thank this company for that! If you take prescription drugs or drink alcohol, you must help your LIVER recover from this abuse! This is very good Milk Thistle! My husband has Hep C and cirrhosis of the liver. I've been giving him your UltraThistle for years and his team of Drs. told him recently "Whatever you are doing, keep doing it because your liver is fully functioning and your numbers are great! We don't see numbers like this coming across our desk" (referring to lab results). I have researched many products and this brand and strength is the one I have the most faith in. Try it. very good love it. hope it helps you with your choice in vit. feel better after you take it. My doctor recommended that I purchase this product on line. I did and so far am very satisfied. Will continue to order if necessary. 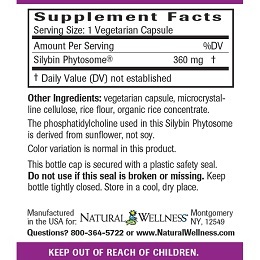 This is a sylibin phytosome product. At 360mg, it is the largest dose available. It is very reasonably priced foir what you get. I've been taking milk thistle products for several years now. A few years ago I discovered UltraThistle. Over these same years I've had regular lab work done with regards to my liver functions. Even though I suffer with liver disease, my liver is functioning normally as has been documented by my lab work! I believe this is in a large part due to the UltraThistle I've been taking. Thank you for an excellent product! My wife has had liver problems for years. Now her liver is in total health because of her regular use of the Natural Wellness UltraThistle. We won't be without it. This is as good as it gets, the quality is good and the price is fair for the quality of product you get. It's good to know there are still companies where the customer is treated with proper consideration and respect...[and] I want you to know how pleased I am with UltraThistle. My latest lab results showed that all five of my liver function tests were well within normal limits! I will definitely keep taking this fine herbal remedy as it has done a truly remarkable job. It really is a pleasure doing business with your company. If my last liver scan is correct it seems to show improvement in damage to the liver. I have been taking UltraThistle for several years now. When selecting supplements, one has to consider who is producing it. Many supplements can be rendered useless even if they start with quality products and then do not process them properly. So many, many things go into a quality supplement and I feel Natural Wellness produces superior products. Seven years ago doctors gave me a few months to live. I refused to take a chemotherapy and list for organ transplant too long for poor guy like me... But, because I was not ready to give up, I started long search online: "What can help in helpless situation?" Praise God, our hard prayers were answered, I found the website Natural Wellness and got from them Liv.52 (I take 4 a day) & Maximum Milk Thistle (Now they got [UltraThistle]-even better and I take 3 capsules a day). My liver totally restored, damaged parts are still there but not affecting my health at all. Seven years I am faithfully taking these magic capsules, feel good and planning to live long. Awesome product! I have been taking Ultra Thistle for probably about 5-6 years. I think it helps keep me alive. Ultra Thistle has become part of my life and faith. I depend on it to get me through while I wait for a cure. Take one capsule three times daily or all at once. 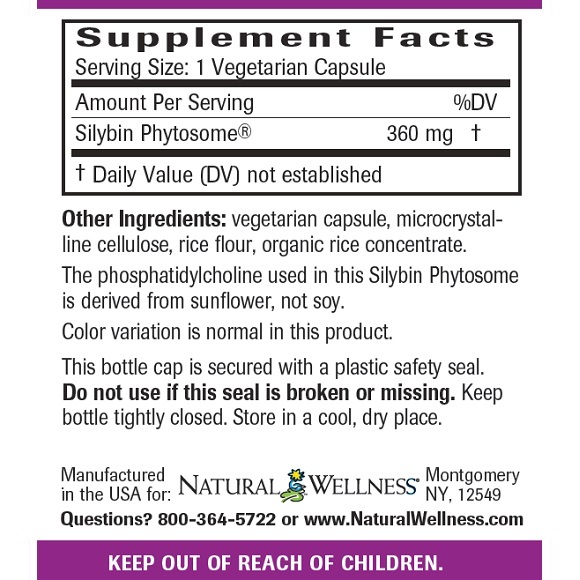 Each bottle includes 90 capsules containing 360 mg of Silybin Phytosome® - a one-month supply. The German Commission E Monographs (considered by doctors to be the bible of herbal effectiveness and safety) states there are no known contraindications for using milk thistle extract. Additionally, there is no known toxicity level. Milk thistle (silymarin) may reduce the effectiveness of oral contraceptives, therefore backup birth control methods should be used while taking UltraThistle®. 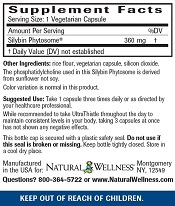 UltraThistle® contains 360mg of the active ingredient Silybin Phytosome® (Siliphos®). Silybin is the most beneficial component of the milk thistle extract. Silybin is then bound to phosphatidylcholine which has been shown to dramatically increase absorption, biological activity and delivery of silybin to your liver. UltraThistle® is MANUFACTURED in the USA to meet FDA strict current Good Manufacturing Practice regulations (cGMP). Would you like to add a FREE bottle of NAC to your order? Your free bottle of NAC applies to this order only. 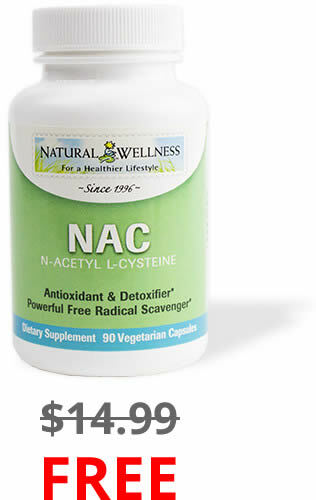 NAC (N-acetyl cysteine) is an antioxidant that has a lot to offer anyone with a damaged liver. Although available as an over-the-counter supplement, NAC is also used in western medicine. An antidote for liver toxicity caused by an acetaminophen overdose, NAC’s power is irrefutable. NAC is one of the most powerful naturally occurring antioxidants, which, when supplemented, dramatically increases your body's principal antioxidant, glutathione, that neutralizes free radicals and detoxifies harmful substances in your body. The liver regenerative and supportive properties of UltraThistle along with the antioxidant protection of NAC combine to give your liver the support it needs to function more effectively.